This is a cover plate for doorbell. Cable should be connected directly to the bell button. Load capacity should be AC. max 42V 2amps and DC max. 42V 0,5amps. How is the plate fixed to a wall. The plate is fixated to the wall with silicone. The plate can be fixated with silicone. Please could you confirm the grade of stainless steel it is made from and type of finish? Thank you for asking. 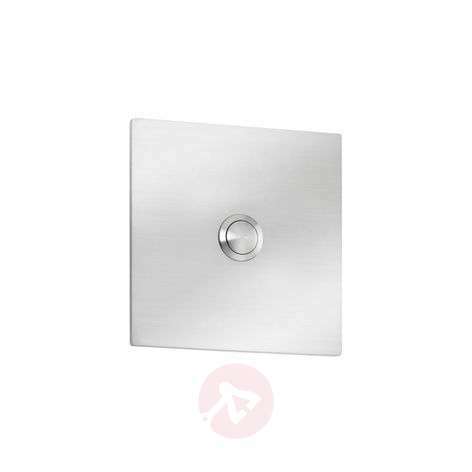 The bell cover plate is made of V2A grade stainless steel, 3mm thick.